Master Cutlery Fantasy Skull Axe & Plaque | BUDK.com - Knives & Swords At The Lowest Prices! Send terror in to all your visitor's eyes with this Fantasy Skull Axe hanging on your castle wall. 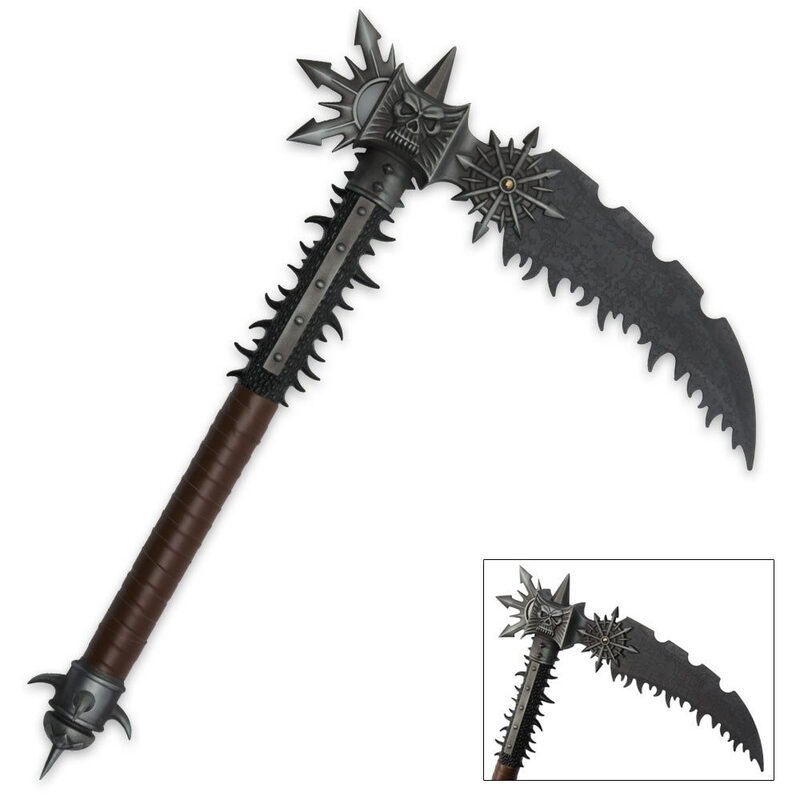 Each axe features a menacing stainless steel blade with a unique spiked, medieval appearance. 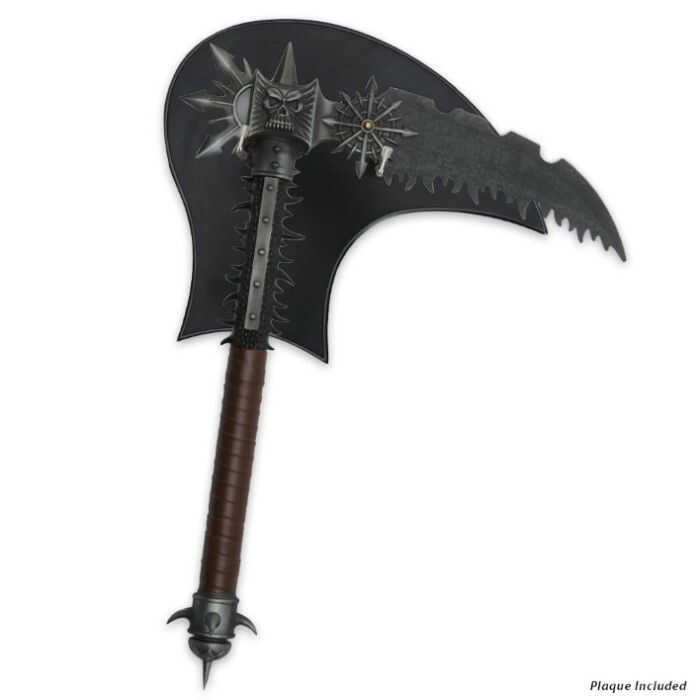 A skull is cast into the axe head and more spikes than you can count are on the leather wrapped handle. Bought this for my son. He has knives and swords all over his wall. He will love this addition to his collection. It is better in person to see this. Handle is sturdy. the leather wrap adds a great look. Sharp out of the box (Sharp every ware). If you collect fantasy items this is a must have item. Can't wail till Christmas when he opens it. Thanks BUDK you did it again. This fantasy skull axe was a last minute purchase when I saw it at the checkout screen and for a random buy I couldn't be happier has a rally good weight to it and has a lot of sharp metal spikes not sharpened to a point but sharp enough if it was swung at someone it would break the skin. Very satisfied with this purchase makes a great addition to my weapons collection. Will buy a long time buyer from budk. First things First,The shipping was great! fast,and packed safely The blade is not sharp but its more of a stab weapon,Overall i think its a beautiful Show weapon. Good job True swords,You managed to satisfy me again!